Seinfeld introduced the idea of the Babka to me. 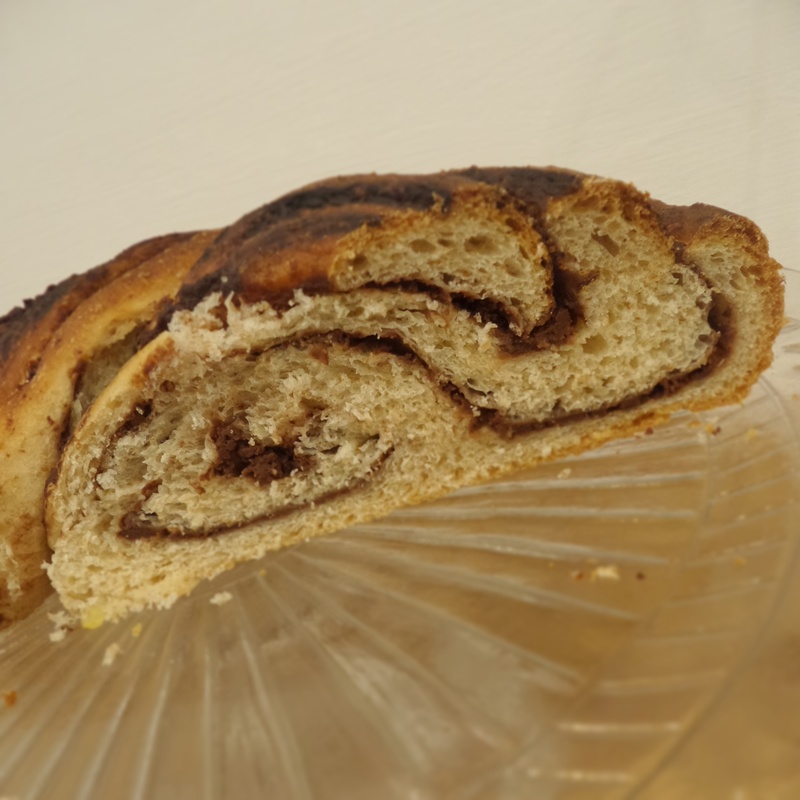 It’s an enriched sweet dough usually flavoured with chocolate popular in Eastern Europe. The episode focuses on Jerry and Elaine’s desperation to get their hands on the last Babka in the bakery. I’ve wanted to find out what all the fuss was about for ages. It was definitely worth the wait. 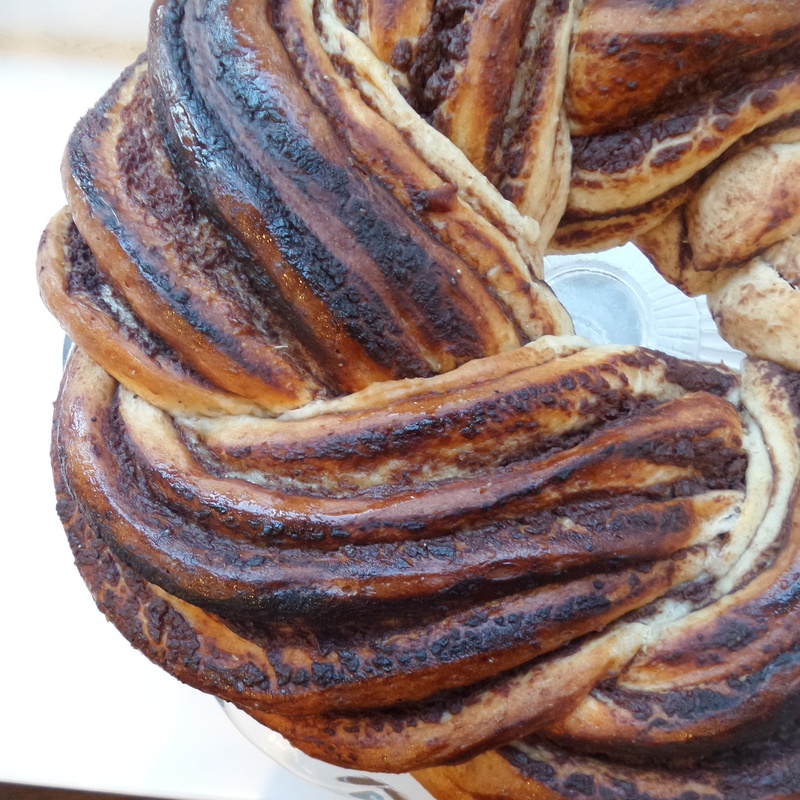 I love how beautiful the Babka looks in all it’s braided glory. Dark brown sweet chestnut stripes peeking through the sweet dough, glistening in their honey glaze. I also love how complicated and impressive it looks too! I’ve plaited bread before, before but this was my first attempt at a braid and it’s not as difficult as you’d think. 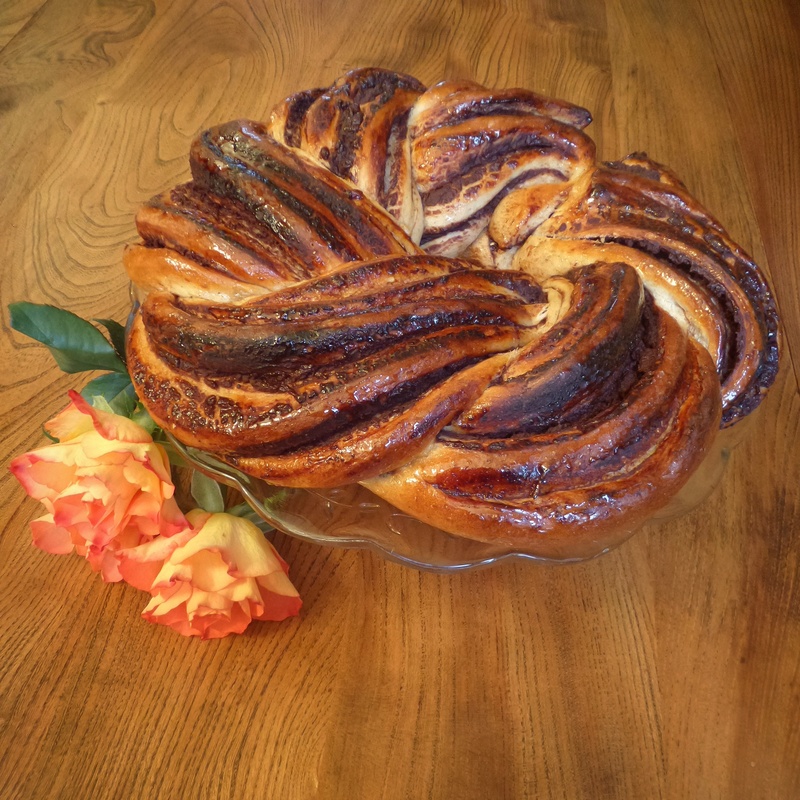 Traditionally Babka, which means Grandmother in Polish, is a comforting bread flavoured with chocolate and baked at Easter time. As I like to do things differently (and I had ran out of chocolate) I found a tin of chestnut paste in the cupboard and thought I would put it to good use. 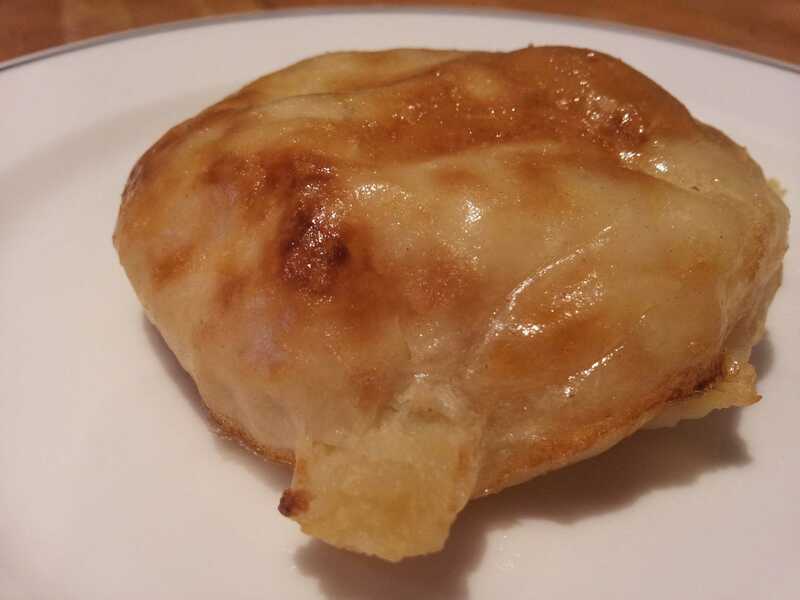 It’s absolutely delicious with it’s soft light texture and not too sweet, although you can add more sugar if you wish. I added cocoa powder to my chestnut paste along with poppy seeds to give a nod to the traditional chocolate and nut versions. The cocoa added depth to the chesnut paste and poppy seeds feature heavily in many European bakes and give a lovely crunch. Having never baked with chestnut before, I was so happy with the result. I bought the tin on an impulse and it’s lay at the back of the cupboard forgotten until now. It’s an unusal flavour, rich nutty and rather savoury. Do check your can to see if it’s sweetened or natural. If unsweetened you’ll need to add sugar to you get your preferred level of sweetness. You could add chocolate chips, or use chocolate spread or nutella (or anything you fancy!) if you prefer. Place in bowl, cover with cling film and leave to prove for 1-2 hours till doubled in size. 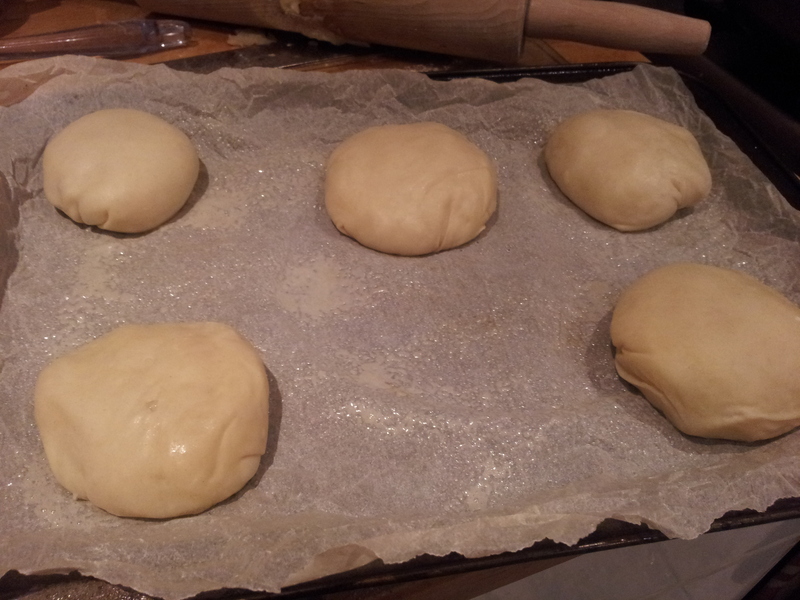 Knead lightly on oiled work surface and roll out to a rectangle approx 5mm thick. 30 cm by 20cm. Spread even layer of chestnut paste over the dough and sprinkle lightly with Poppy seeds and light brown sugar. Cut the dough sausage with a sharp lightly oiled knife lengthways all the way along the sausage. 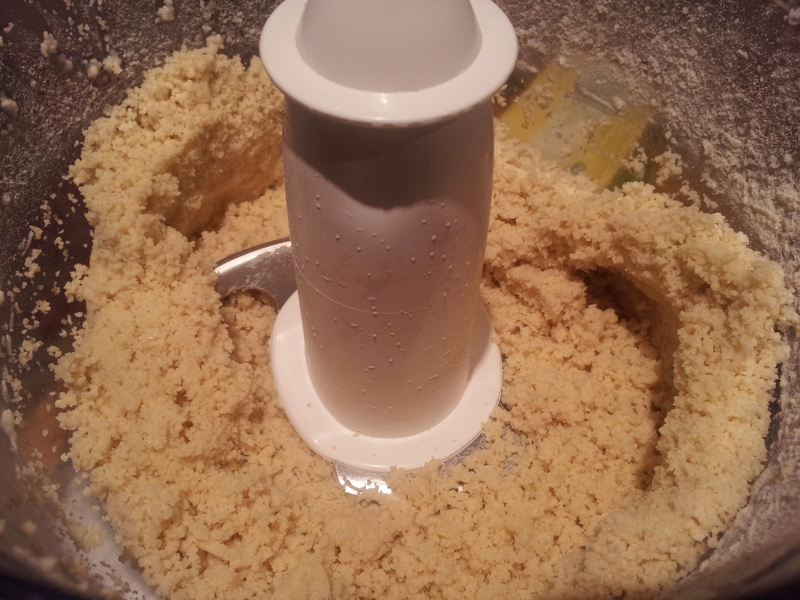 Cut all the way through the dough to spilt it down the middle and expose the filling. Lift carefully onto a greased and lined baking sheet. Bake for 25 minutes at 200 degrees Celsius. After watching a Woody Allan film ‘Whatever Works’, I was intrigued to find out exactly what a Knish is , the food that Larry David’s character loves so much. 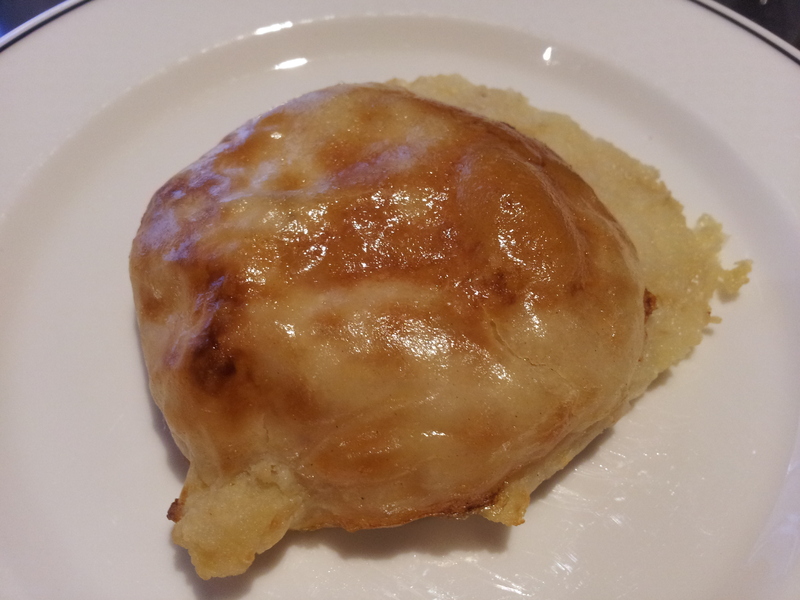 It turns out that it's a traditionally Jewish Pastry usually filled with oniony mashed potato. 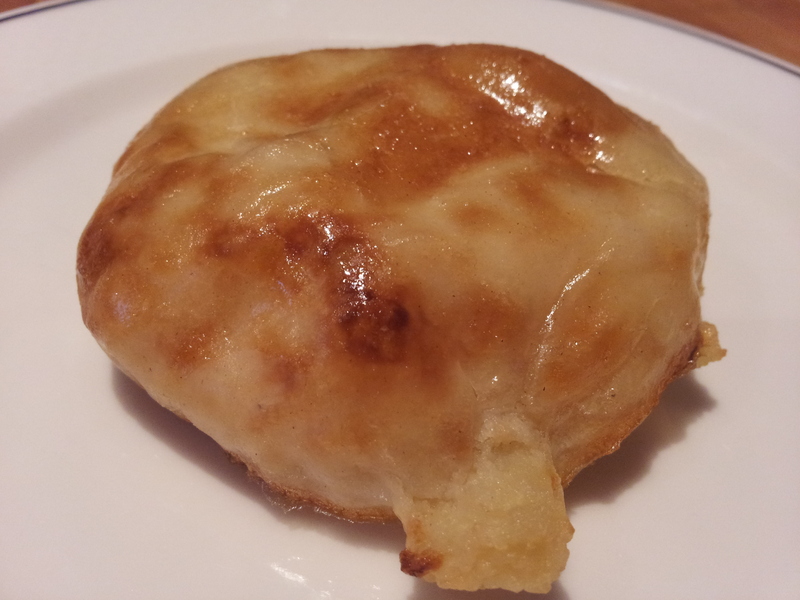 Curious, I signed myself up to the Knish challenge. All of the recipes online varied massively. One site gave a recipe for 5 dozen or 58 knishes. This would be a bit excessive for me and my 5 friends to eat. I settled for a more basic version and (yes you guessed it) modified it slightly. I peeled and boiled 3 large baking potatoes but then proceeded to drop lots of them (and the glass pan lid) into the sink. 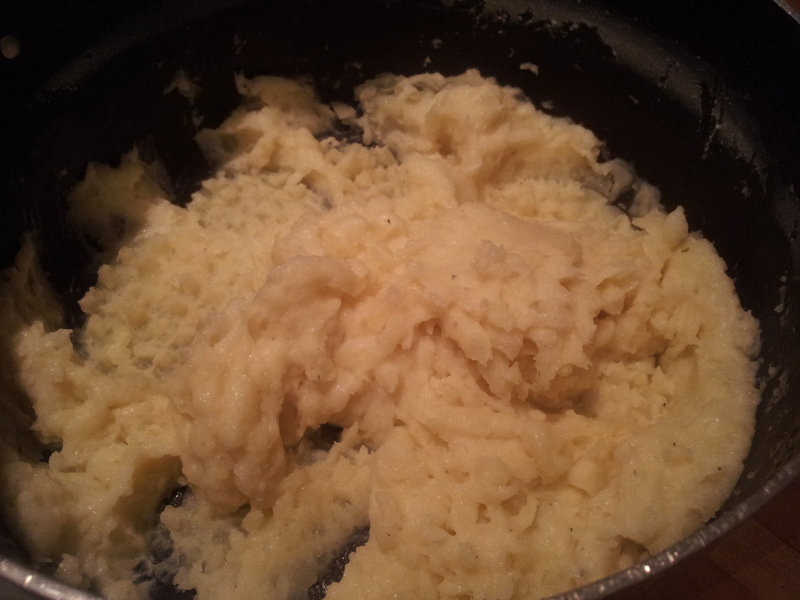 So after disposing of the sink potatoes I guess I actually had about 2 and a half potatoes mashed up in the end. The chopped onions had to be fried in rather a lot of vegetable oil until soft and translucent whilst I messed around with pastry making. It needed kneading until smooth then it needed a rest in the fridge for 30 minutes. 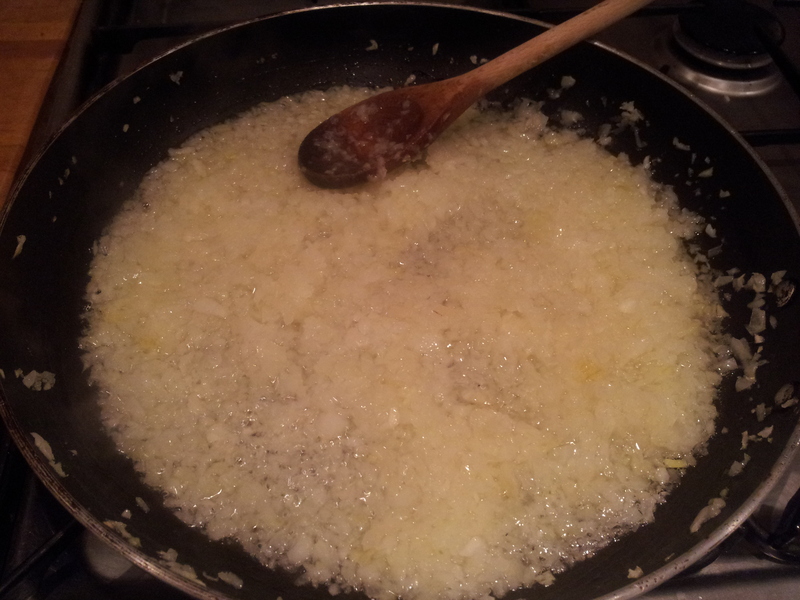 Enough time for a cup of tea and to stir the onions. The pastry seemed a bit dry. 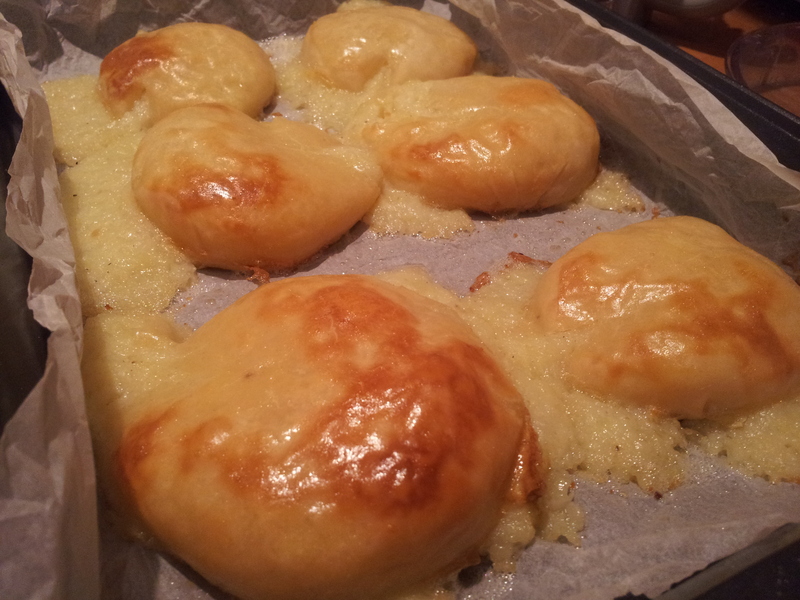 This might be because the recipe that didn’t include an egg, where as some of the other put 1 or 2 eggs in the pastry. To remedy this I kneaded a little more water in until I was happy with it. I chopped the dough into 12 pieces and rolled each piece into a thin circle about 7 inches in diameter. 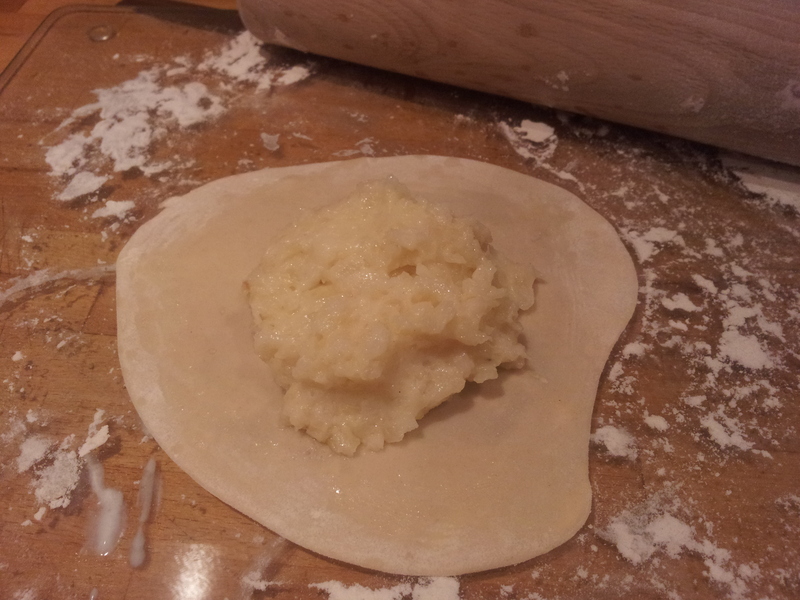 I tucked up the edges and spread a little egg wash where pastry met pastry to help it seal shut (in theory). 12 Knish balls later and they were ready for a generous egg wash and the oven. In hindsight I should have popped a little air vent in the top of each Knish to avoid this Knish mass explosion. There was more mashed potato on the tray rather than in the Knish. This is another danger of making it up as you go along after catching a fleeting glimpse of what it should look like in a film. Nevertheless they tasted pretty good. If I’m being a little critical perhaps a tad on the greasy side, but I bet it would be a perfect hangover cure! There are other flavour variations you can try too if you’re not a mashed potato fan, like meat. I think its a bit like a pasty so you can have fun with it!